The Austin 10hp Light Utility Car or Austin Tilly was a typical wartime improvisation. 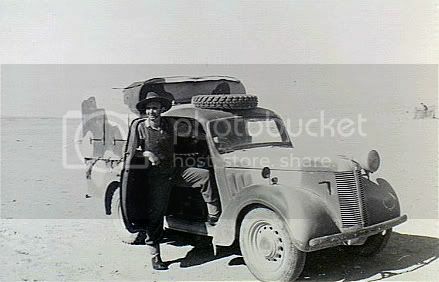 It was a conversion of the pre-war standard production Saloon Car, adapting it into a small pick up type truck that could be used by the Military. Tilly’s as they were known served throughout the 2nd World War and there is a famous picture of HM The Queen, the then Princess Elizabeth beside several during her training with the ATS. The release of the Tamiya 1/35th scale kit no 35308 was welcomed by many and provided the first plastic representation of this vehicle. The kit is a nice kit but lacked a few details that would have made it even better than it is. Legend Productions have released a small update and stowage set for the vehicle that may be of interest to modellers. The set comes packed In a sturdy sealed box showing the product and Legend Productions information on the front and the Legend Productions information on the reverse. A colour picture of the un-built items on and beside the vehicle displays the contents. The set is cast in a light grey resin free from damage or any causes for concern. The items were sealed in a separate Ziploc bag within the box. Looking at the separate parts I would comment as follows; the canvas cover is very nicely done, there are nice folds/creases in the upper texture and the four side window panels have nice detail. There appears to be several different types of canvas cover used on the Tilly some with and some without the side window panels and also some differences in the securing straps for same. On the kit the upper securing straps/buckles are not in the same alignment as the lower two straps which would lead me to believe they are wrongly placed, although there may be versions of the cover with this arrangement I can see no reason why! The rolled up rear of the tarp is nicely done and 3 securing straps hold it in place. Inside the canvas tilt cover are the missing three support poles but no indication of the four window openings. The texture is also smooth rather than wrinkled as it should be. Around the base of the tarp are nicely detailed securing holes and rope. The covered spare wheel is a simple but effective addition that will allow for an alternative finish if you so wish. The Replacement grill with the canvas grill cover looks to be a nice item. Not all Tilly’s had these but many did and it was a missing detail not covered by the original kit. The 4 x jerry-cans have nice WD marking and fittings. The 3 x POW cans come with the handles attaches and these will need careful cleaning out of the film. They are unmarked. The remaining trees give some interesting and useful stowage for the vehicle. The ammo boxes with apples and bread are a nice touch, but none of these items are essential to update the kit. A bucket without a handle is also provided. None of these items actually update the Tilly. The main three; the Canvas Tilt Cover, Covered Spare Wheel and Radiator with Canvas Cover simply offer the modeller an alternative finish to the vehicle. The Canvas cover is very nicely done and will improve the finished article, but is let down by the misplacement of the top securing buckles on the outside and the lack of replication of detail on the inside. To be fair the missing support tilts are in place The canvas covered spare wheel and radiator with canvas covering are both nicely done. The additional stowage items are both fun and very well molded and will give modellers an additional choice as to how they load up the vehicle. Had the set contained alternative wheels or the missing SMLE or No 4 Mk 1 rifles then I would have considered it an update set. As it stands it provides a range of good items to allow a slightly different finish to the vehicle. The items would lean towards a later rather than earlier Tilly but there would be nothing stopping you using them across a couple of kits to suit your needs. The set also provides reason for another Tilly purchase if you haven’t already got a couple in the stash. I have this stowage set, and I like it a lot. The problem is I don't do 1/48 or much WWII, except aircraft. Would this be found on US bases in England? Specifically, I want to use it with my Trumpeter C-47 for a "Night of nights" dio, but my research yields no photos of this combination. Damn, I got confused there. I've got the set, but somehow while Googling to find where I could get the base kit, I got it stuck in my mind that I needed the Tamiya one in 1/48. I guess it'll have to be a 1/32 Spit then, which I don't yet have... I'd hate to waste the set. The one shop near me doesn't have the 1/35 kit.